For better or worse, carpets are extremely absorbent. They take in anything from oily solids and puddled liquids to the very smells in the air around them. So it’s not surprising that after extensive use, carpets and rugs have a tendency to hang onto old odors as if they were ex-girlfriends. If you’ve been experiencing problems with stubborn smells in your home, then here is how you can get them sorted without having to call for professional carpet cleaning. Cigarettes smell terrible and there are no two ways about that. Tobacco and other types of smoke have a tendency to cling onto fabrics in the most unpleasant way. If you don’t have a wife or mother around to tell you so, then consider this advice: Avoid smoking inside. It is not just bad for the health of your family, but will certainly leave your whole house smelling awful, especially if you have carpets. When it comes to smoke, there is just about no amount of odor removal that can rid your rugs of the smell. There is no cure for a lingering smell quite as effective as fresh air. If it’s a sunny day, open some doors and windows and enjoy the breeze. This will help recycle the air in your home, and if done often enough will do a lot to remove bad smells. Many types of bacteria, bugs and molds have a hard time surviving in dry climates, so this is especially true if the carpets get damp. It’s when a carpet stays wet for too long that you will end up needing help from a professional, not just to get rid of the smell, but to conduct mold removal as well. A lot of people are skeptical about how necessary a professional cleaning is for your carpets. They might ask'why not just do it myself?' The reason is a fairly simple one. Cleaning which is effective enough to completely rid your rugs of smells requires a certain level of experience, skill and the right equipment. Going about it carelessly can lead to severe water damage, patchy spots on the carpet and essentially, no real change to the smell of your home, other than a worsening of the dampness. A professional clean will ensure that the job is done correctly, that there is no further damage to the rug, and go a lot quicker than if you do it yourself. 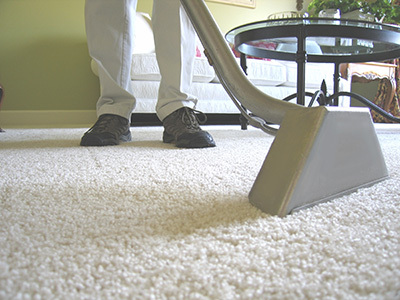 For any carpet, rug, upholstery and tile-cleaning services you can always count on "Carpet Cleaning Altadena".